Obama arrived in Havana on Sunday for the beginning of historic talks with Cuban President Raul Castro. One issue certain to be on the discussion table will be the territorial handover of Guantanamo Bay, the correctional U.S. facility on the South-East of the island. While the U.S has an indefinite lease on the territory, paying Cuba $4,000 a year in rent, thawing US-Cuban relations and Obama’s final attempts to close the facility mean the handover of Guantanamo looks increasingly likely. Last month Obama laid out plans to close the facility and referred to closing Guantanamo as “closing a chapter” in America’s history. However what Guantanamo represents and the illegal techniques revealed by the Tagaba inquiry represent a chapter of American history which is showing no signs of coming to an end. Since the facility exists on Cuban soil the US have used the facility as a legal black hole, a place to hurl the suspects captured in the war on terror and interrogate them for information. Guantanamo represents a complete inadequacy of western legal institutions to deal with modern age terrorism. Bush’s “war” on terror was not a war in the traditional sense. Twenty-first century terrorism transcends national boundaries and is largely free from state sponsorship. Therefore it cannot be considered a “war” in the way that twentieth century wars existed. By accepting that this was not a war in the traditional sense, coalition forces were not bound by the Geneva Accords regulations on the treatment of prisoners of war. The Tagaba report found that sexual assault, sensory deprivation, sleep deprivation and mock executions were all common techniques used at Guantanamo and in some cases were authorised by Donald Rumsfeld himself (the case of Mohammed al-Qahtani). If the prisoners are not prisoners of war then they must be treated as suspected criminals and therefore processed through the US and UK legal systems. The very nature of holding detainees indefinitely without access to a hearing is against the US constitution and completely unacceptable in any western judicial system. A legal vacuum emerged where laws couldn’t deal with the phenomenon of modern terrorism and keep suspects off the streets. The legal systems could not instate laws quick enough and besides what legal rights did they have to extradite a suspect to the US or UK if a suspect was detained and suspected of plotting terrorist activities in Afghanistan and the Middle East? If terrorism is not geographically limited to a single nation, what national laws apply? The U.S responded by creating a base on Cuban soil where suspects could be detained indefinitely and interrogation could occur outside US and EU law. By bypassing legal systems and deciding to operate in a legal vacuum the US jeopardised the coalitions war aims and, as reports began to seep out of the small Caribbean island, public opinion began to turn against the wars in Afghanistan and Iraq. One man’s terrorist is another man’s freedom fighter and without legal justification for detention and interrogation, as soon as the terrorist suspects are captured they have won. Either they go free, or they are martyred . In 2016 we have new threats. Al Queda is fragmented and scattered, most of Guantanamo’s detainees have been released by the Bush and Obama administrations and the complete loss of public opinion on endorsing foreign wars has created uninhibited violence in Iraq, and Syria and allowed the Islamic State to rise it its wake. Despite the changes the legal problems we face are exactly the same. Instead of Guantanamo we now have drones which can identify and destroy terror suspects. The military still acts as judge, jury and executioner and assassinates suspects thousands of miles away at the push of a button. Guantanamo has taught us nothing and US forces continue to operate in a legal vacuum where the scope of action against suspected terrorists is unlimited and all reaching. A legal solution needs to be created with an international court where UN Security Council referred terrorists can be put on trial and can be tried in absentia. Rules concerning interrogation by intelligence and military agencies need to be made in a way where clear guidance is given on what constitutes torture and these methods need to be regulated by a non-governmental organisation. The only way to do this is by making CIA and MI6 detention centres a matter of public knowledge and to bring them under the jurisdiction of legal regulations and open to inspection. Without the presence of a court to hear evidence against individuals suspected of plotting acts of terror and collaborating with ISIS we aid their recruitment, become a tool for propaganda and fuel opposition sentiment abroad and at home. The same legal black hole that has existed on Cuban soil for fifteen years now flies silently through the skies of Iraq and Syria administering the same kind of military justice where it seems fit. 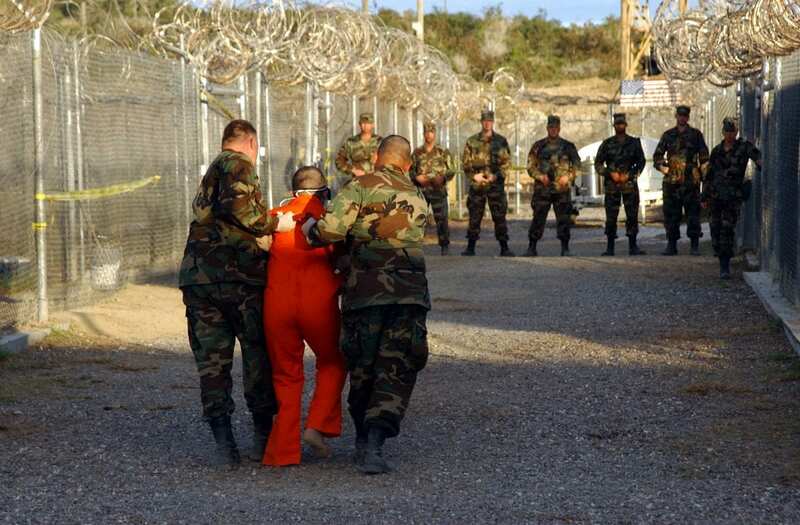 Closing Guantanamo needs to happen, but it doesn’t mean that we’ve learnt anything from the whole affair.